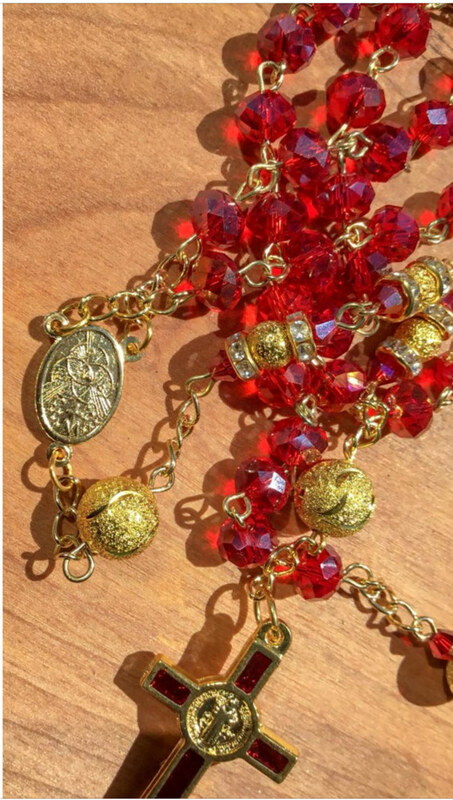 For your consideration is a Saint Benedict handcrafted Rosary on gold. 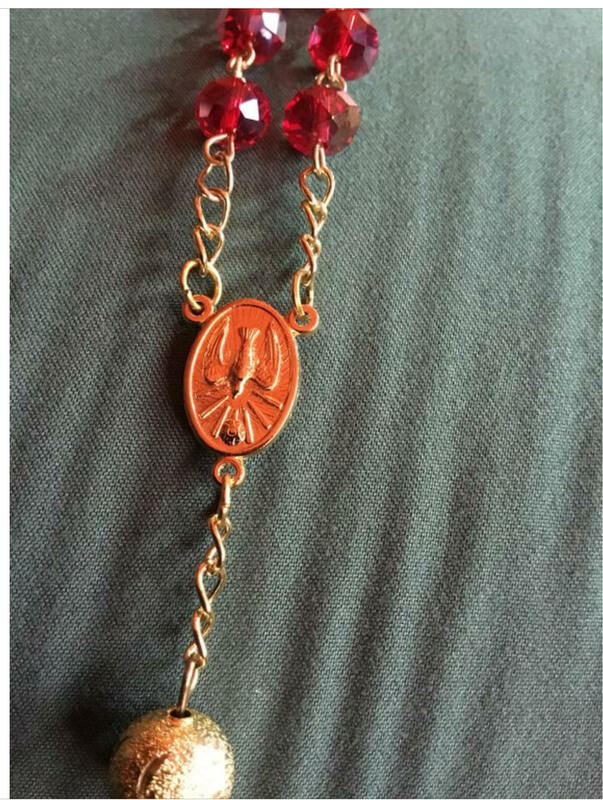 * The Crucifix is a beautiful red and gold Saint Benediction Crucifix. 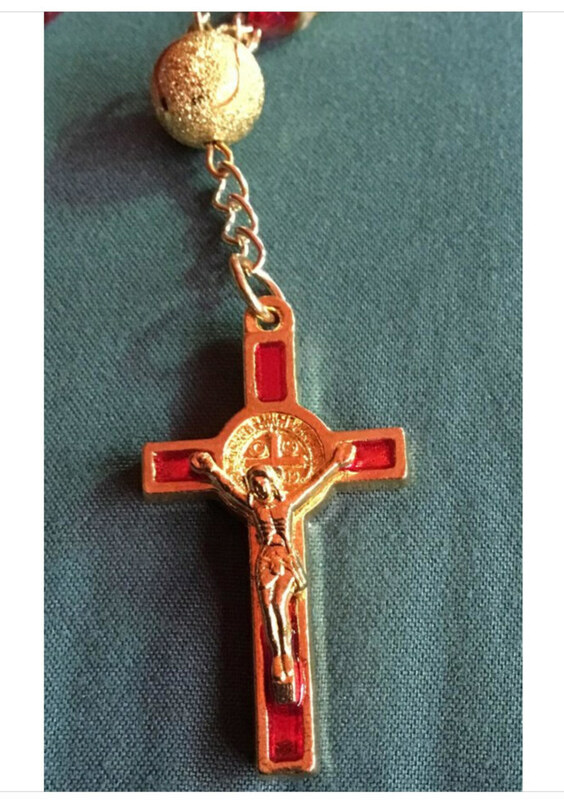 Both the front and the back of the Crucifix have the Benediction medal. 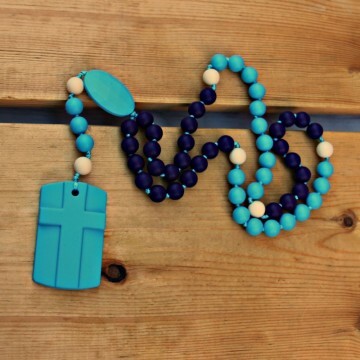 * This Rosary is appropriate for both male and female. 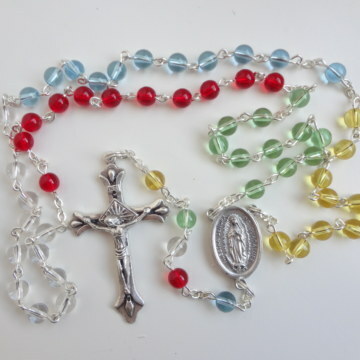 ~ This Rosary will be gift-boxed and ready to give. 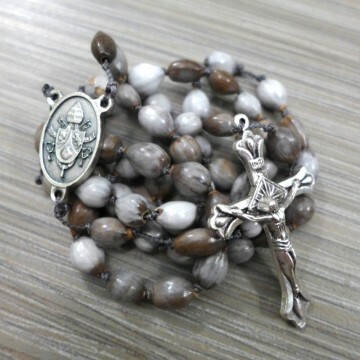 ~ You will also receive a small booklet called, “My Pocket Rosary”. 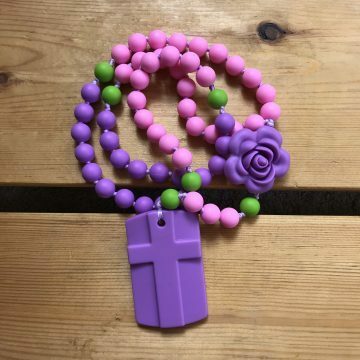 This small booklet contains 72 pages of several prayers including stunning pictures and a teaching guide to the Rosary. In Scripture, St. Peter tells us to be sober and watchful because, “your adversary the devil prowls around like a roaring lion, seeking someone to devour” (1 Peter 5:8). The devil is real, and he wants to destroy you and me through any means possible. That’s why it’s so important that we fight back with the spiritual weapons of prayer and faith. One of the powerful weapons in spiritual combat is the St. Benedict medal. Honored and employed for centuries, this medal has been associated with many miracles, as well as with powers of exorcism. The exact origins of the St. Benedict medal are uncertain, although it is said that the first medal was worn by the 11th century Pope, Leo IX, who attributed his miraculous recovery from a snake bite to it. 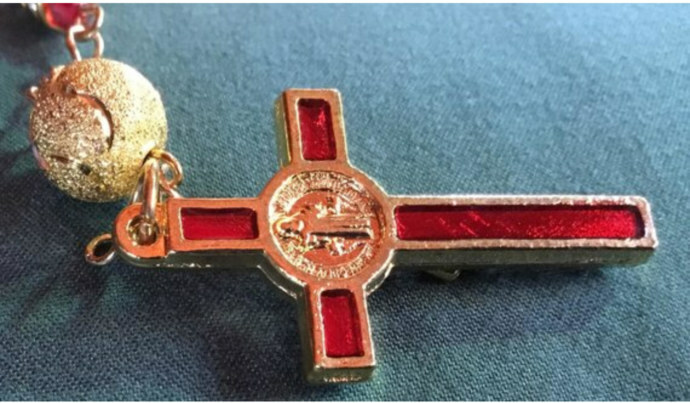 St. Benedict medals of various types have been in use ever since, but the medal in its current form, known as the Jubilee medal, was not struck until 1880, when it was created to honor the 1,400th anniversary of St. Benedict’s birth. The back of the medal is even more interesting. 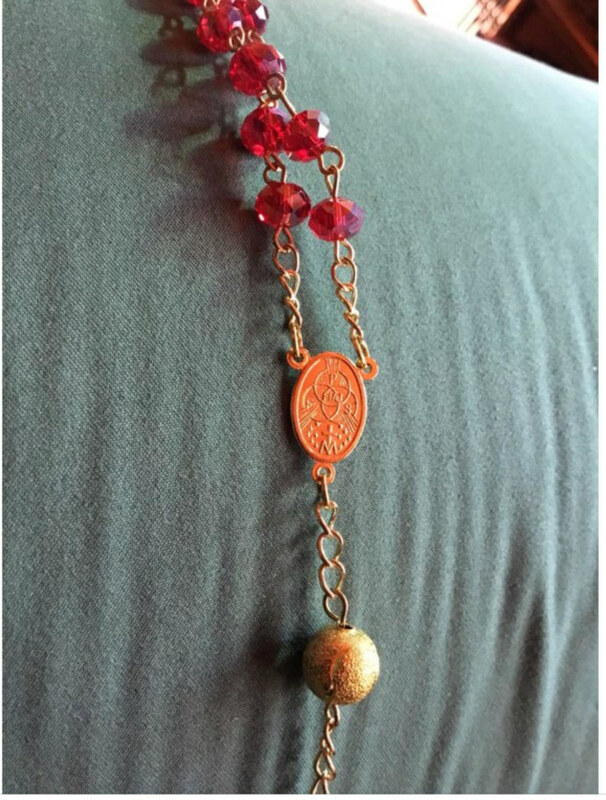 It contains a series of initials that stand for a Latin exorcism prayer, as well as a prayer for guidance. Surrounding the outer rim of the back are the letters V R S N S M V – S M Q L I V B. These letters stand for an exorcism prayer based on an incident from St. Benedict’s life. Do not suggest to me thy vanities! Drink thou thy own poison! It is this prayer that is represented by the initials surrounding the back of the medal. 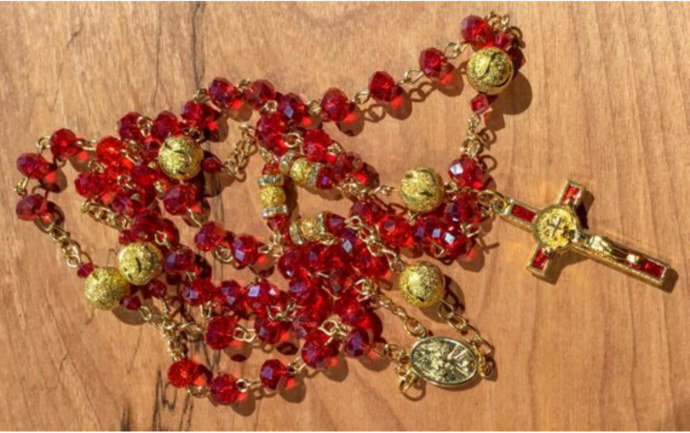 Benedict medals are used in many ways, but always as a protection against evil. Some people bury them in the foundations of new buildings to keep them free from evil influences, while others attach them to rosaries or hang them on the wall in their homes. But the most common way to use the St. Benedict medal is to wear it. The medal can be worn by itself or embedded in a crucifix, like the one pictured. Regardless of how it is used, the medal should always be blessed using the prayer found here. While, in former times, only Benedictines could bless the medal, now any priest can.